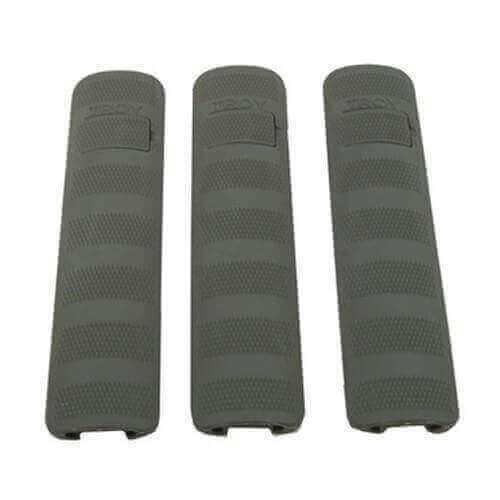 Three-pack of 6.2″ rail covers. Troy Rail Covers are engineered to survive the most extreme conditions. Constructed from durable, heat & chemical resistant synthetic polymer resin, the Troy Rail Cover quickly and easily slides onto a 1913 Picatinny Rail and locks into place with a built-in retaining clip. Scientifically engineered and proven to reduce heat transfer and abrasions to the operator’s hand. No tools required. – Patent Pending. Made in the U.S.A.